It’s the news we’ve all been waiting for. That’s right, Benedict Cumberbatch and Martin Freeman shall be returning to our screens for the new Victorian-themed Sherlock special – and not just to the screens you might be expecting. The eagerly anticipated BBC One special, which we can now confirm will be titled Sherlock: The Abominable Bride, will be simulcast on the big screen in over 100 cinemas across the UK on Friday, January 1st, 2016. “Sherlock on the big screen. For us, it’s a giant leap backwards – into Victorian London. The mean streets of 1895 have never looked so good!” said series creator Steven Moffat of the upcoming cinema experience. Not only that, but on top of watching Benedict and Martin in super size, cinema goers will be treated to exclusive bonus footage from the one-off special, including a guided tour of 221B Baker Street from Steven Moffat, and a look behind the scenes at how the special episode was made featuring all the lead cast and crew. We can’t think of a better way to see in the New Year! 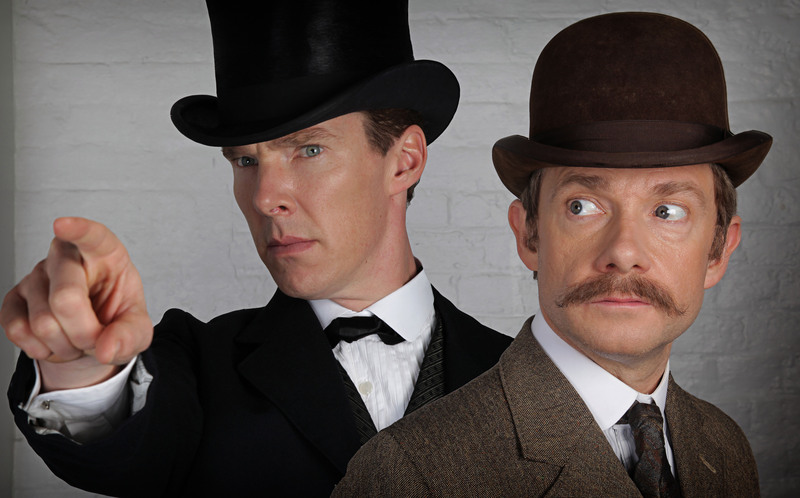 Cinema tickets for the special Sherlock: The Abominable Bride go on sale on 2nd November 2015. For full listings, please visit Sherlockolgy.com.